Garrett Mason is a true bluesman at heart. He was raised in Truro, Nova Scotia by his mother Pam, and father, veteran Canadian Bluesman Dutch Mason. 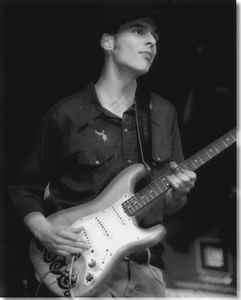 His quest to become a blues musician started at a very early age; being surrounded by blues music. Garrett’s debut CD spotlights his talent for strong original songs, a voice that is reminiscent of a veteran performer and his extraordinary aptitude for playing electric guitar. Garrett’s original talent was awarded in 2005 when he received a Juno for Best Blues Album. Garrett’s band released their sophomore album Love and Sound in July 2008 which was nominated for a Juno Award. The album won Blues Artist/Group Recording of the Year at the 2009 Music Nova Scotia and Industry Awards. He has also been nominated for Maple Blues Awards every year since 2004, most recently winning Guitar Player of the Year.